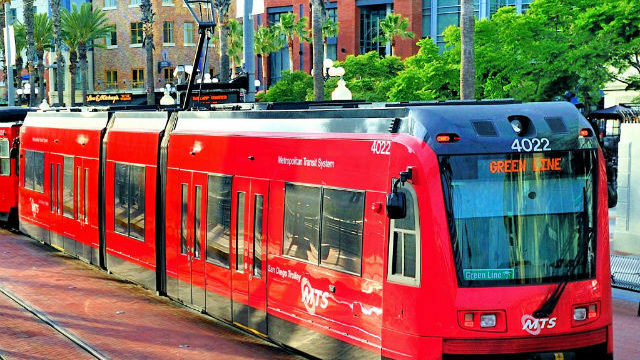 The San Diego Metropolitan Transit System is increasing service on all three trolley lines to accommodate crowds expected for the San Diego Padres season opener on Thursday. 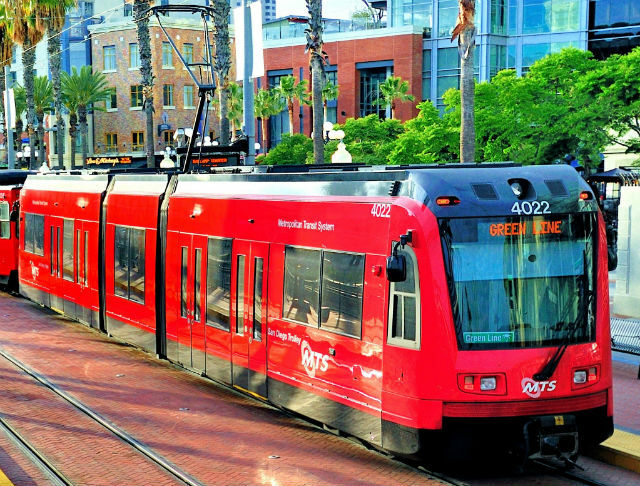 The Padres will play the Milwaukee Brewers at Petco Park, with the first pitch at 1:10 p.m.
All three trolley lines will depart stations every 15 minutes most of the day, with service immediately before the game increasing to every 7.5 minutes at 11:20 a.m. on the Sycuan Green Line from SDCCU Stadium, and 11:43 a.m. on UC San Diego Blue Line from San Ysidro. Parking for 5,000 cars is available at SDCCU Stadium and other large lots are at Spring Street on the Orange Line and Palm Avenue on the Blue Line. An all-day pass to ride the trolley system is $5 and can be purchased via the Compass Cloud mobile ticketing app.